PF Minister of Information Chishimba Kambwili has described former Deputy Minister of Justice and Chilanga MMD member of Parliament (MP) Keith Mukata as an underweight who has been a huge liability to the ruling party. Reacting Mukata’s dumping of the government position, Kambwili said Mukata should disclose that he has been working with the UPND for some time now. Kambwili claimed that Mukata has been playing tribal politics. 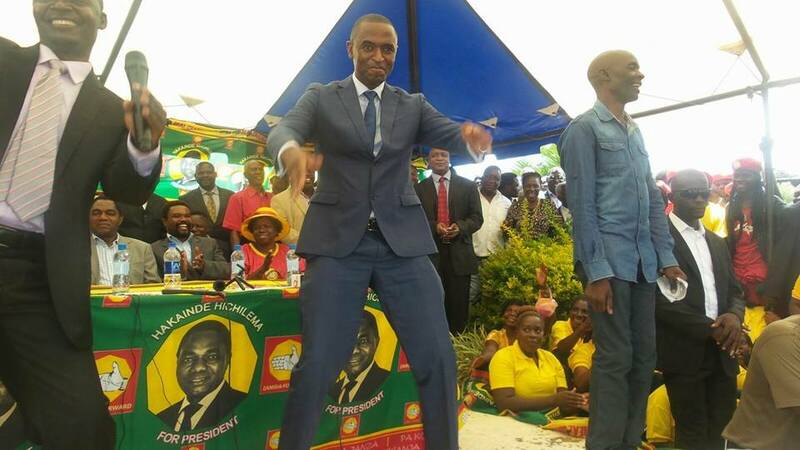 “Mr Mukata should not criticise the President but should tell the nation what he has been telling the people that Chilanga has a lot of Tongas than any other tribe and that he cannot win the seat if he contested on any other political party apart from the UPND,’ Kamwbwili said. In the first place Mukata, a lawyer can sue this idiot. Second, Kambwili has no right to insult the people of Chilanga, a cosmopolitan region with people from all over Zambia. It is not even true that the majority of people in Chilanga are Tonga. And if they were, how come they voted for Mukata, a non Tonga in 2011 against one Captain Moono a Tonga?